Along with Mental Health and Psychology, Youth Leadership has always been a topic of our work interest. 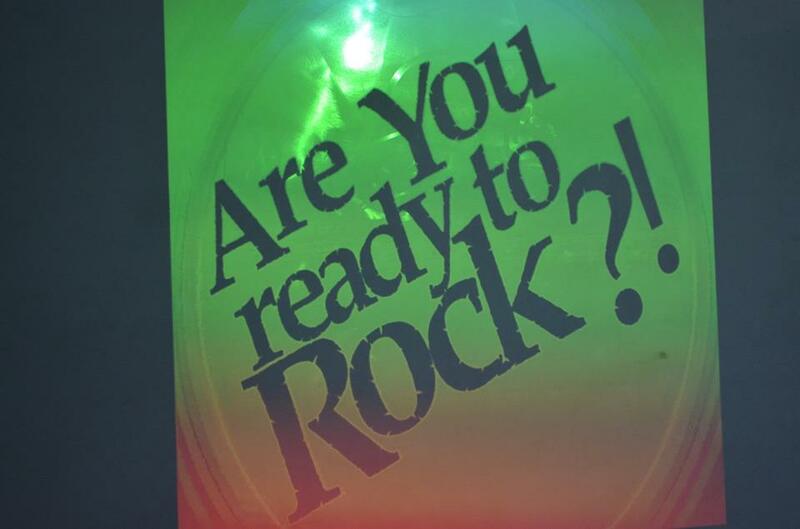 We have developed a curriculum including skills which can aid any youth in their professional development. We had 2 days extensive activity based session focusing to develop Presentation Skills, Communication and Expression Skills, Blogging Skills and so on. We had 13 participants in total and 4 sessions facilitators facilitated the sessions. We would like to thank Suraj Raj Pandey for the session of ‘Leadership 101’ and Stela Mainali for the session ‘Being a Public Speaker’. PNN’s executive director, kripa Sigdel, and President, Sujan Shretha, were responsible for designing and conducting the session. 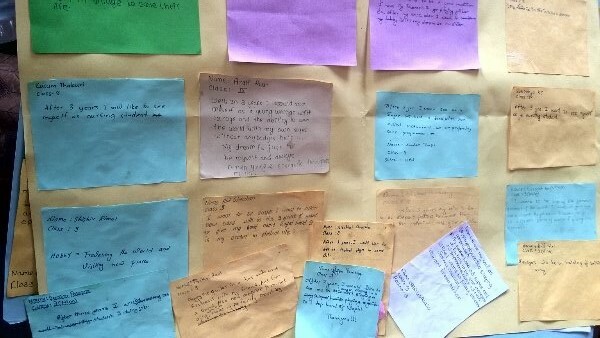 At the end, 2 day workshop-training on ‘Be Professional You’ ended with the participants positive feedback which makes us believe in the enhancement of better professional skill and youth network among them. If you are looking for these kind of sessions at your school, college or youth group, you can reach out to us at 9860937293 or via info@psychbigyaan.com. We are looking forward to visit and conduct the sessions. 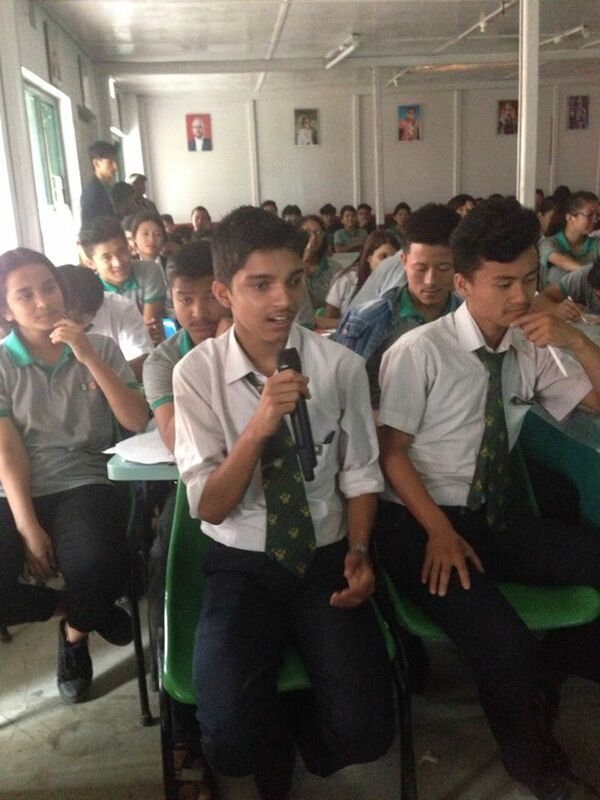 ‘School Mental Health Initiative’ is one of the initiatives of Psychbigyaan Network Nepal. 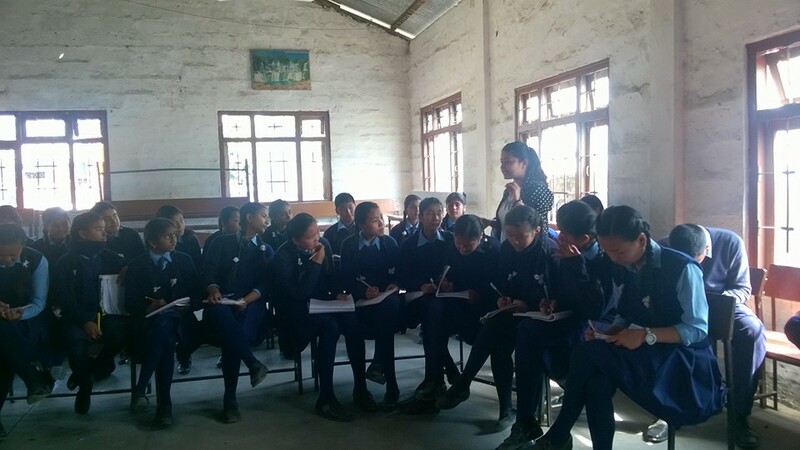 Under this program, our founder and Executive director, Kripa Sigdel, partnered with Global Peace Foundation (GPF) for school outreach program as one of the mentee/young leaders of their project ‘GPW-Young Leadership’ Academy. 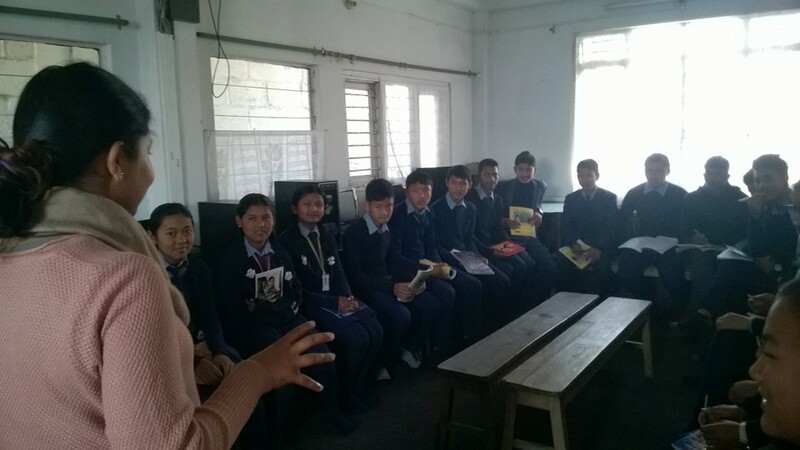 We reached to 10 different schools of Kathmandu Valley (Bhaktapur, Lalitpur and Kathmandu) from August 2016 to May 2017 under special sessions to school ‘Stress and Emotional Management Sessions’. 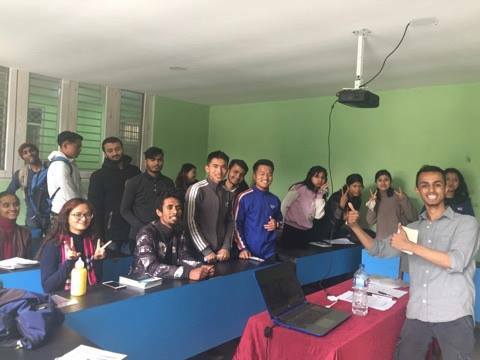 The team for this program (Kripa Sigdel (program leader and trainer), Sujan Shrestha (trainer), Alisha Adhikari(Trainer), Asish Kafle(trainer), Ranju Magar (volunteer)) being the Psychology graduates designed the sessions from the learning and training they had and the literature they studied. The module will be used for other program under our school mental health initiatives. Helped students for the stress and emotion management in schools which will ultimately help them transit properly to adult. This will help them adjust well in their academics, family and friends..
Students also trained in techniques necessary to use when in problem and cope them. 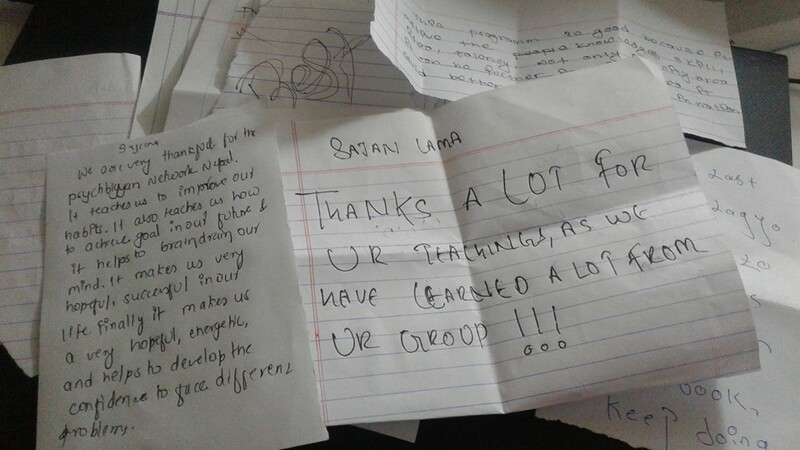 The students were equipped with the technique of stress and emotional management in their life. This will help them deal with the problems and cope which will directly help them better themselves academically and personally. Our Special Thanks to 10 different schools for letting us do our sessions. Our thanks to Global Peace Women Headquarter for the encouragement and support of needed resources like stationeries and supplies. On 21st April Psychbigyaan team and students of Padma Kanya Campus jointly conducted a teachers training on Identifying Problems and Supporting Students of Transitional Phase for 3 different govt. schools of Tyalghar Dhading in Shree Dilli Sabitri Secondary School at Shikre Khola, Dharke. 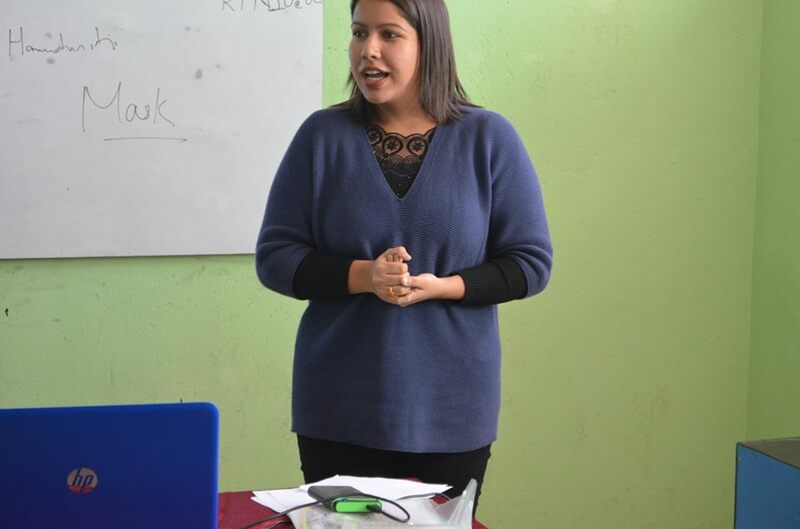 The program was supported by US Embassy’s Program – Humphrey Fellowship. The program saw the participation of 17 teachers from three different governmental schools of the locality. 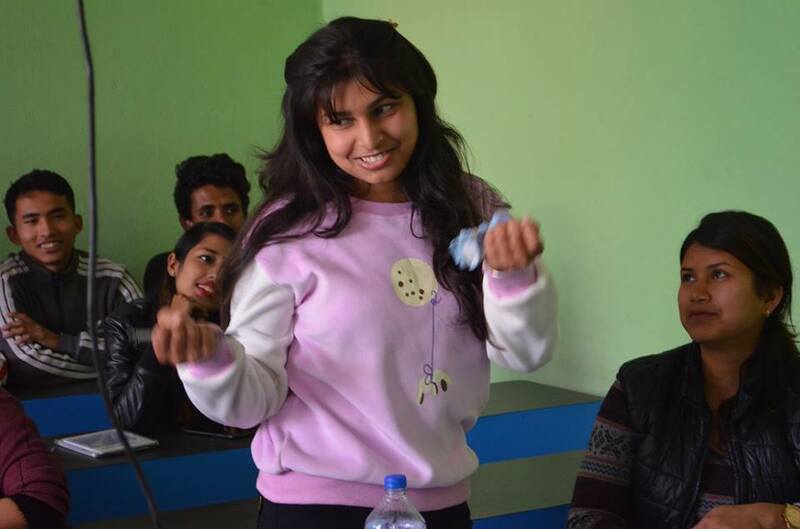 In the first session, the trainers Alisha Adhikari and Nikhil Bista had an interactive round on the identifying the problems that occurs in transitional phase with interactive sessions, activities and lecture method. 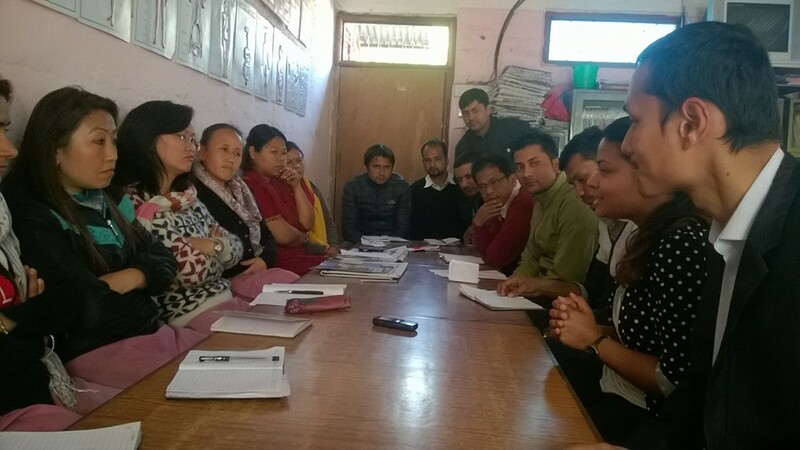 In the second session which was conducted by the trainers Kripa Sigdel, Sujan Shrestha and Piyush Gautam. The session was more focused in dealing with behavioural and psycho-social problems that the teachers might have to encounter. The session was focused on the subtle ways the teachers can integrate the effective teaching methods to reduce the many misunderstanding and conflicts that arise between the students and the teachers. 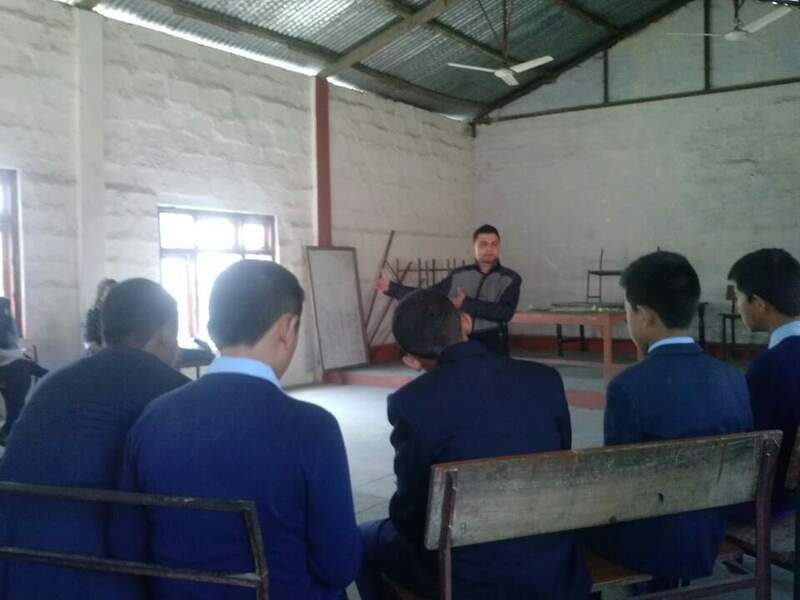 The last session was jointly conducted by Sujan Shrestha, Piyush Gautam and friends of PK campus where the teachers were taught about their own self care, peer supervision. And the teachers were taught on how to deal with the pains that might be ensued by doing classroom chores like standing, bending, writing on the board etch. Then they were taught simple relaxation techniques to reduce their physical and psychological strain and stress. ‘PESH-Education’ reached to Pokhara on 2016. 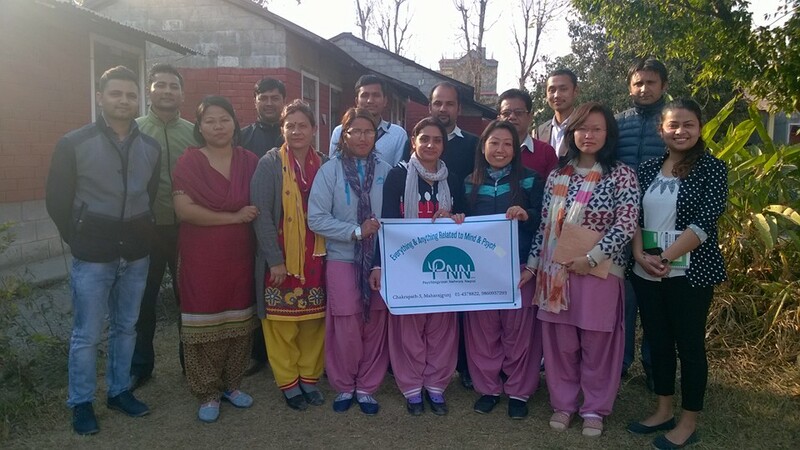 Psychbigyaan Network Nepal in co-ordination with Maya Foundation conducted two days PESH (Psychological Emotional Social Health-Education) training on two schools of Pokhara. The training module was designed to provide information on SMART goal setting, SWOT analysis, stress management, coping strategies, how to study better, teenage problems, and various other aspects which would be helpful for that age group. The first program was conducted in Dharaapani School of Pokhara on 3rd and 4th of November, 2016. The first day session was designed for children studying in 8th and 9th grade and was mainly focused on teenage problems and how to deal with them. 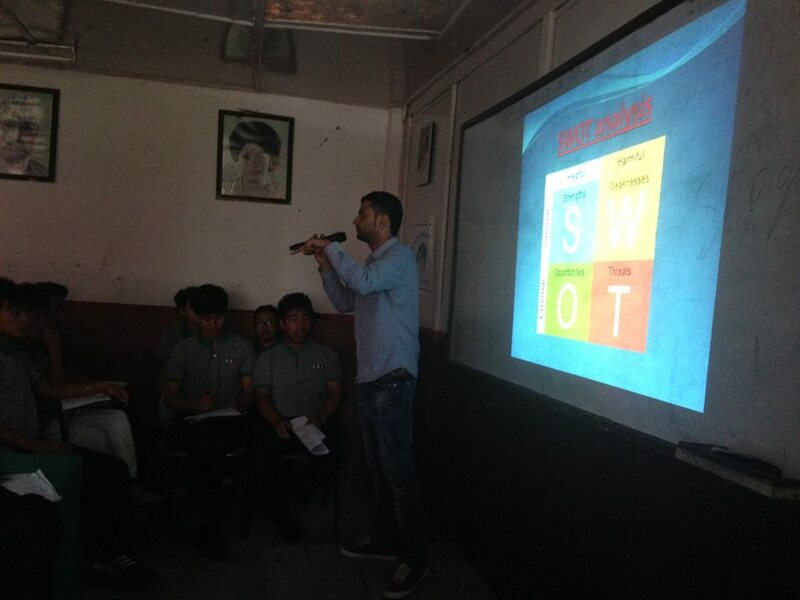 The program included activities and presentation by our trainers. The same day, later an hour long session was also conducted with teachers of Dharapani School to assess the problem of children in school and to find out the ways how teachers are helping children to overcome those problems. Similarly, the second day’s program was designed for grade 10. 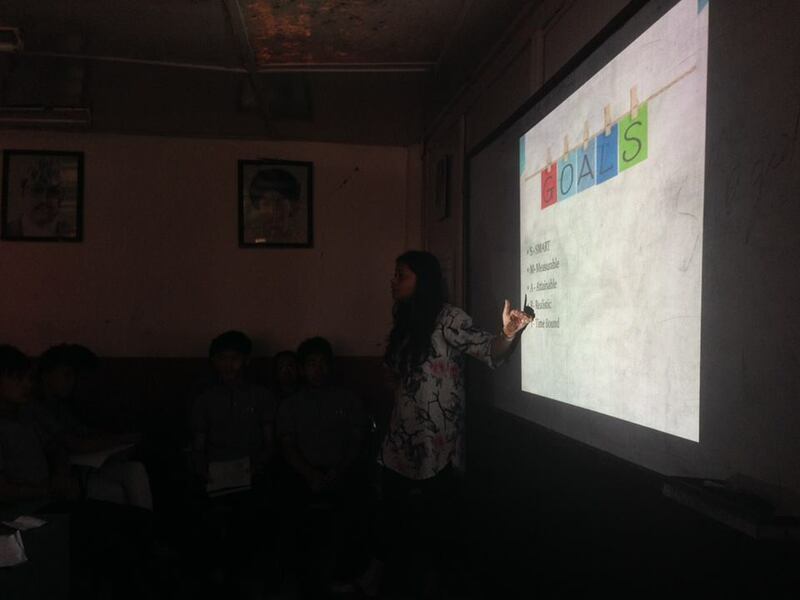 The sessions were conducted Psychbigyaan Network Nepal team. Also volunteers from maya foundation helped the team in conducting fun and games sessions. The Second program was conducted in Oxford School of Pokhara on 8th and 9th of November, 2016. 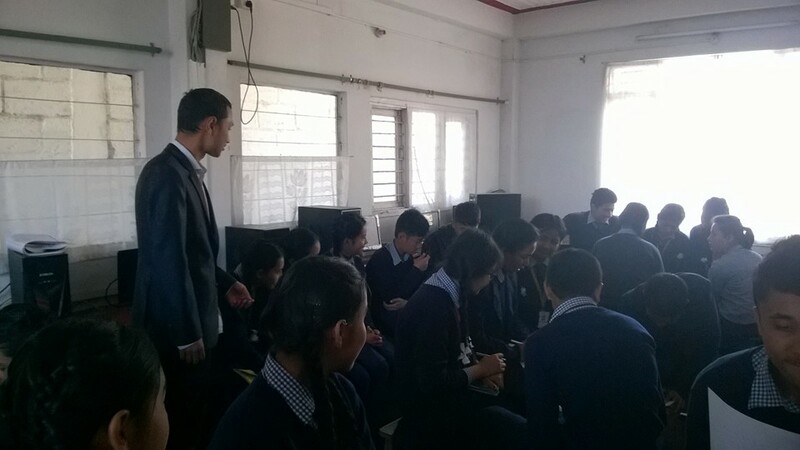 The first day session was designed for children studying in 8th and 9th standard and was mainly focused on SMART goals, SWOT analysis, teenage problems and how to deal with them. The program contained tools such as body map to describe teenage changes and group activities for assessing their problem and their problem solving methods. Similarly, the second day’s program was designed for grade 10. Along with various sessions role plays and fun games were also included. Also volunteers from maya foundation helped in conducting fun and games sessions with motivation game and role play on peer pressure. 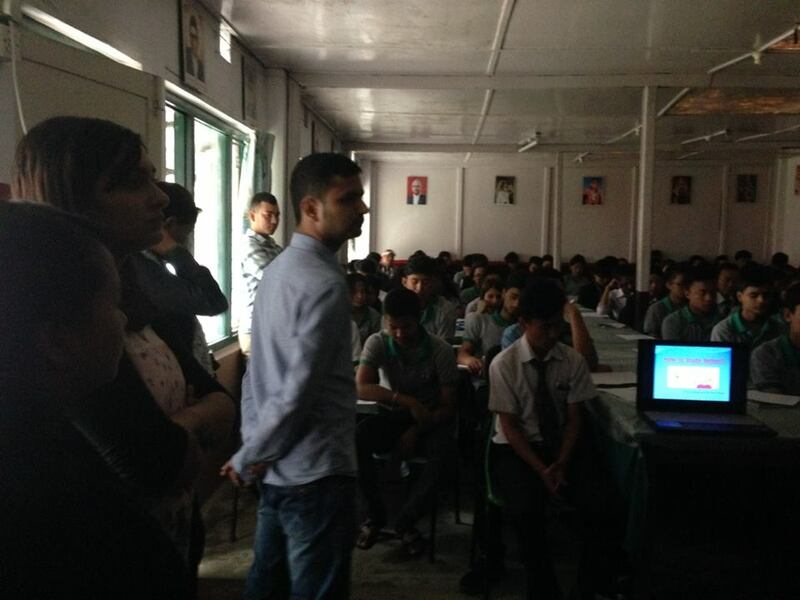 Later on 10th of November, Psychbigyaan Team conducted a mini workshop in ‘Himanchal H.S.S’ on ‘How to study better’. The workshop was conducted in class 9 and 10. As it was conducted on the special arrangement of Sansar Nepal. The PESH by Psychbigyaan Team with the support and arrangement from Maya Foundation and Sansar Nepal was effective. Our special thanks to Rene Voss of Maya Foundation for the special invitation and arrangements of schools. Sansar Nepal and Michelle Bliss for the wonderful hospitality and Anneleen and Dianne for supporting us in the activities during the program. 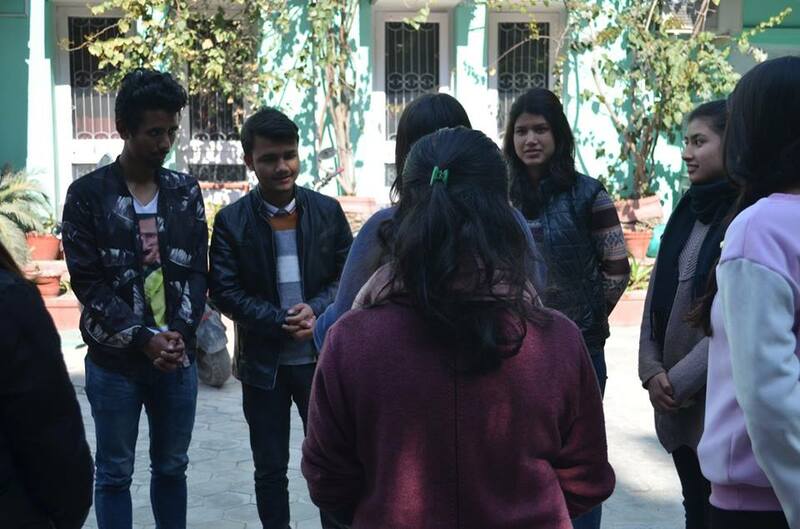 Psychbigyaan Team visited Pokhara with their school program from Feburary 16 – Feburary 20 for ‘PESH (Psychological, Emotional, Social, Health Education’. The visit was coordinated and sponsored by Sansar Nepal, NGO that is supporting children for education and skills. 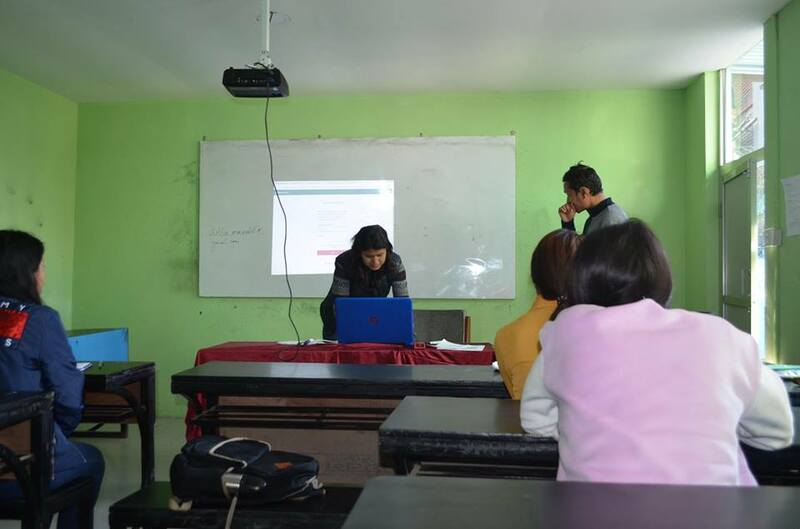 Psychbigyaan Team comprising Kripa Sigdel, Sujan Shrestha and Ashish Kafle had completed two workshops on two different schools and one workshop to teachers in their Pokhara stay. The module of the session was designed, developed and put in action by team themselves. To enhance their mental skills and competencies. To share information on how to better support students from Psychological perspective and also to interact with them. 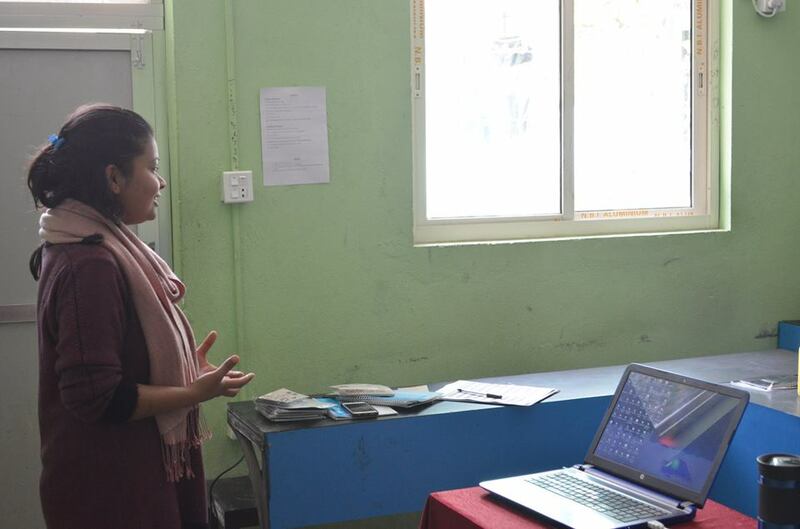 Sansar Nepal Representative, Michele, introducing teacher’s workshop and PNN team to the teachers! This programme was awesome. 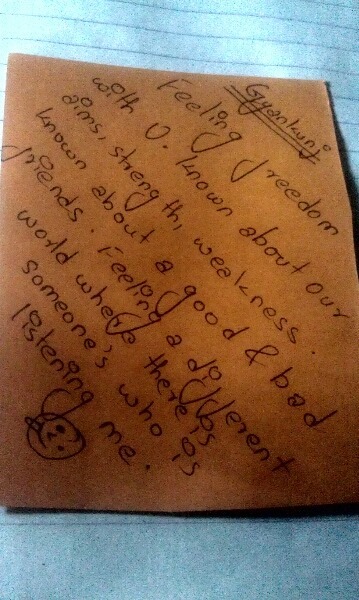 We learnt many things related to our aim, adolescent. 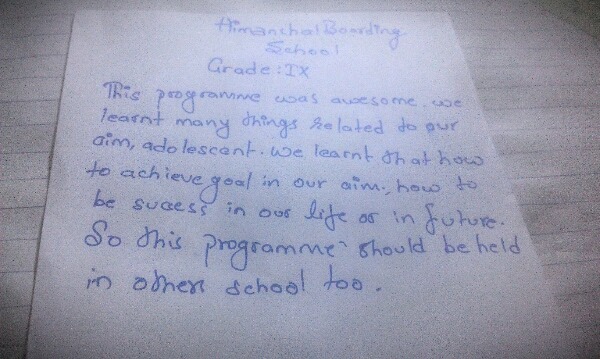 We learnt that how to achieve goal in our life or in future. So this program should be held in other schools too. 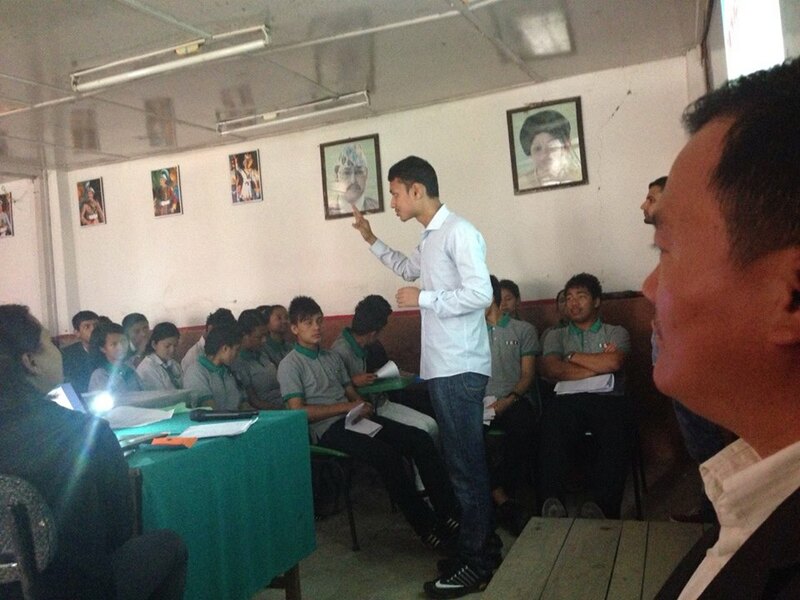 Students got psycho-education regarding various psychological aspects needed for them. Students became aware about how to handle stressors – academically and personally. Our special thanks to Sansar Nepal. This is the first program we did on collaboration, looking forward to much of the programs we will be doing together throughout various schools. Looking forward to other schools visits to talk about Psychology and Mental Health. Let’s make the world better place to live in by working on the issues which we are passionate about!